Attorney General Jeff Sessions threw cold water Tuesday on Republicans clamoring for the Department of Justice to appoint a special counsel to investigate former Secretary of State Hillary Clinton. Rep. Jim Jordan (R-Ohio) pressed Sessions on why it had taken the Justice Department months to hint, as it did Monday, at the prospect of considering a special counsel to probe years-old matters connected to Clinton. Jordan said he thought evidence unearthed in the last year about how FBI decided not to charge Clinton over her handling of classified information at the State Department appeared to be enough to warrant a special counsel. "'Looks like' is not enough basis to appoint a special counsel," Sessions responded. The New York Times had a lengthy story about Uranium One and The Clinton Foundation in April of 2015. the controversy has not gone away. It detailed millions of dollars being sent to the Clinton Foundation from the chairman of a mining company—Uranium One—who was looking to have then-Secretary of State Hillary Clinton sign off on a business deal with Russian-owned Rosatom to purchase a majority stake in the company back in 2010. During this time, Mr. Telfer, the chairman of the Canadian-based mining company, gave over $2 million to the Clinton Foundation. Clinton, who was seated on the Committee on Foreign Investment that oversees business deals that involve America’s national security priority, approved the sale. The Obama White House also knew that the Russians were bribing their way to taking over the company, which they eventually did in 2013. The Justice Department said Monday that prosecutors were looking into whether a special counsel should be appointed to investigate political rivals President Trump has singled out for scrutiny, including Hillary Clinton. 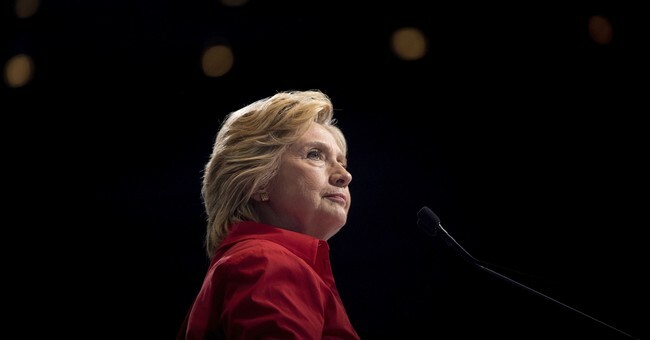 The department, in a letter sent to the House Judiciary Committee, said the prosecutors would examine allegations that donations to the Clinton Foundation were tied to a 2010 decision by the Obama administration to allow a Russian nuclear agency to buy Uranium One, a company that owned access to uranium in the United States, and other issues. The letter appeared to be a direct response to Mr. Trump’s statement on Nov. 3, when he said he was disappointed with his beleaguered attorney general, Jeff Sessions, and that longstanding unproven allegations about the Clintons and the Obama administration should be investigated. Any such investigation would raise questions about the independence of federal investigations under Mr. Trump. Since Watergate, the Justice Department has largely operated independently of political influence on cases related to the president’s opponents. On Tuesday, Mr. Sessions is scheduled to testify before the House Judiciary Committee, where he is expected to be questioned sharply by both Republicans and Democrats. The letter was a reply to formal requests from congressional Republicans for a Justice Department inquiry into various Clinton-related issues. Although Mr. Sessions has recused himself from all matters related to the election, he and the deputy attorney general, Rod J. Rosenstein, will oversee the prosecutors’ decision to appoint the special counsel, the letter said. For Clintonites, the perception that the witch-hunt continues for the power couple is alive and well. For everyone else, the fact that the Obama administration and the FBI knew about the Russian bribery schedule and did nothing should be reviewed. The Obama White House reportedly didn’t want to rock the boat, given that they were trying to reset things with Russia.